This beautiful textured sweater dress has created a buzz across the world’s most famous runways this season. It is impeccably crafted from a high quality textured fabric that is available in your color choice of pink or blue. 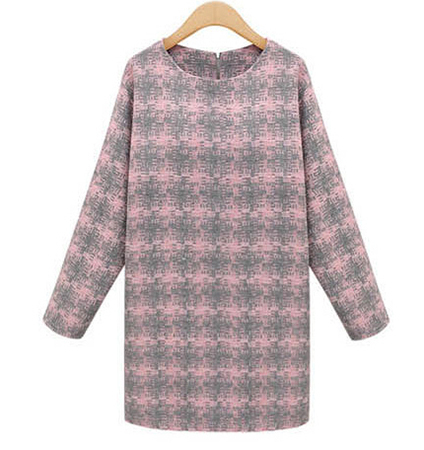 Each dress features a subtle houndstooth print and is subtly reinforced to ensure that it retains its shape. The dress’s design features a rounded neckline, long sleeves, and a hemline that stops approximately mid-thigh. We recommend that this dress be dry cleaned only. It is available for purchase in sizes small through extra large.